Kraftwerk Tools UK are the authorised importer and reseller of the Kraftwerk Tools brand in the UK. The Kraftwerk product range is huge. We can offer you a high quality tool for almost any job. The range covers equipment for the Automotive and Mechanical professionals, Motorsport applications, DIY needs and hobby undertakings, all manufactured to the highest quality and at great value. 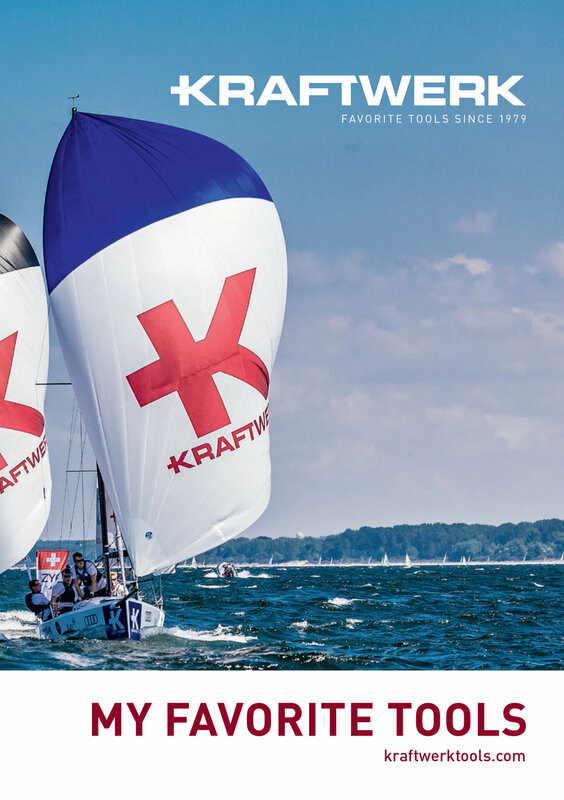 KRAFTWERK is an internationally operating Swiss producer of high-quality professional hand tools and workshop equipment that was established in 1979. I have a professional background in mechanical engineering and am a keen mechanic in my spare time. Because of my passion for tools, I made the decision to take on the proprietorship of KRAFTWERK in April 2016. Since then I have repositioned the KRAFTWERK brand and set the company on a course towards further worldwide growth. Our vision is to develop KRAFTWERK into a preferred tool supplier for the professional trade and the discerning DIY enthusiasts both at home and abroad. KRAFTWERK is a modern employer with an open, people-centred and sustainable corporate culture. We focus on customers' needs and are uncompromising in our ambition to achieve total customer satisfaction. We are an internationally operating Swiss business. KRAFTWERK operates in attractive tool application sectors such as automotive, agriculture, construction and industry, Nautical and DIY. We aim to secure the independence of our business through sustainable success. We give our staff the support and scope to make a difference. We want the KRAFTWERK brand to become the favoured choice of professional tradespeople and discerning amateur enthusiasts. Our great ambition is to offer the best solution for every requirement. We want to develop and produce innovative and sustainable products. We see our partners and the users of our products as the foundation of our long-term business success. We are loyal and fair in our dealings with customers, trading partners, employees and competitors. We are committed to continual development and strengthening of our employee base. We view our employees as the greatest strength and resource of our business. We strive for innovation aimed at a more efficient working environment and focus heavily on sustainable solutions. We understand that it is the sum total of material, design, weight, feel and precision that makes the perfect tool. We bring craft and trade ideas to life through technology, innovation and an uncompromising attitude to performance. Our aim is to use our passion to make our products into the professional's preferred choice and for skilled users to know when they first pick up one of our tools that it is the one they wish to keep hold of. We want the users of our products to be successful. Their success is our yardstick. Internationally active but deeply rooted in Switzerland., the KRAFTWERK brand is dependable and typically Swiss. As a firmly established Swiss family business, the company has committed to sustainability. You can view or download the Kraftwerk Tools Introduction Brochure by clicking the button below to help you learn more about Kraftwerk Tools.